I enjoy walking in Singapore and perhaps to compare with walking in Japan, the only difference at times would be that at certain times of the year, it’s much cooler (or colder) in Tokyo or Yokohama. 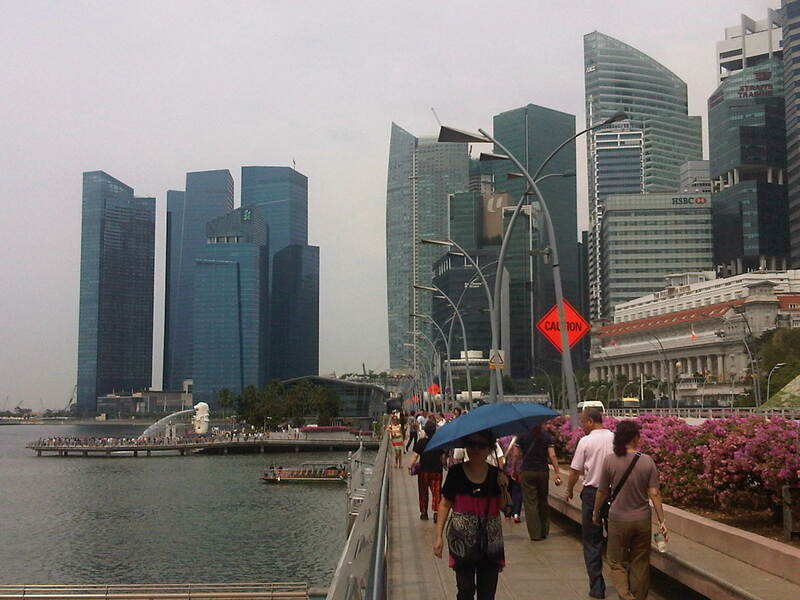 Outdoors in Singapore it can be uncomfortable due to the humidity but its actually the same in the temperate countries during summer. 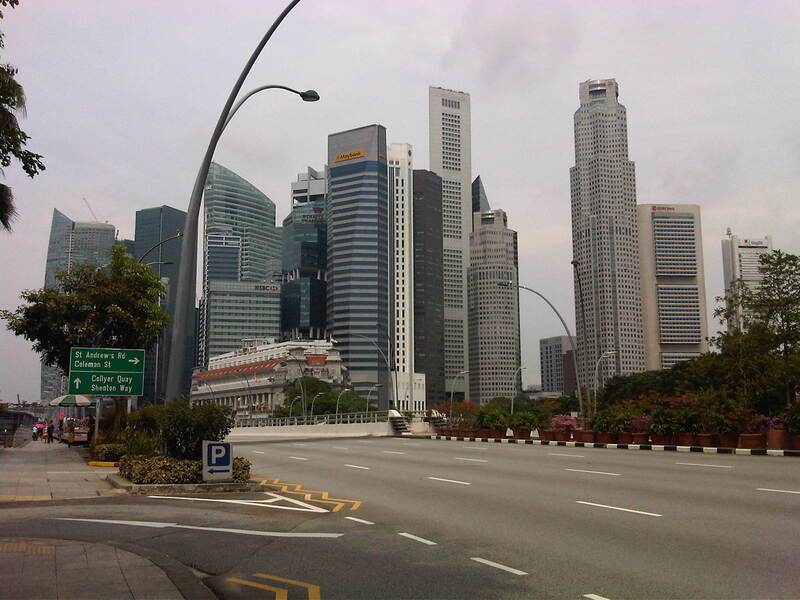 Among the more enjoyable walks even during workdays would perhaps be along the Esplanade connecting the Marina Square and Suntec areas with the offices across the river as well as the newly famous Marina Sands development. View of the drive from the Marina district towards Fullerton and the financial district across the bridge. View of the walkway, which is alongside the carriageway but separated by a plant box. That’s the Merlion on the background with all the people crowding probably to take souvenir photos with the city state’s symbol. 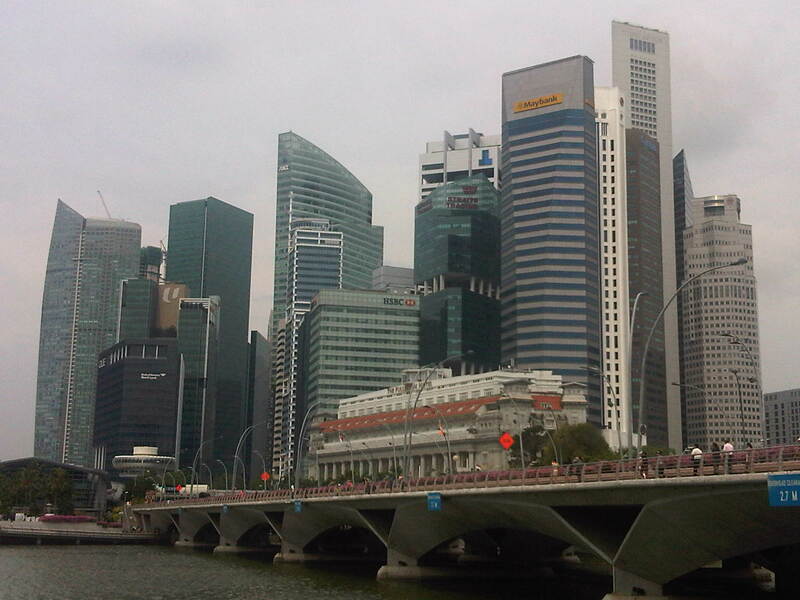 The Esplanade bridge with the skyscrapers of Singapore’s financial district in the background and the famous Fullerton Hotel at the center. The key really is to enhance the walking experience such that people would not at all notice the distance they were traversing. Walking should be for everyone and not just something for those regarded as transport poor. In cities in progressive countries, for example, you see professionals in their suits mixed with people in casuals and students wearing their uniforms walking their chosen paces along streets provided with facilities suitable for walking and the volume of walkers (Yes, there is such a thing also as a level of service for pedestrian facilities and flow). I would have taken photos of the connections between stations and places of interest in Singapore but I usually only had my trusty cell phone rather than a professional camera. With all the cameras installed around the city, my taking of photos might be misinterpreted rather than dismissed as just another camera nut taking souvenir or “artistic” shots of places. By d0ctrine in Pedestrian, Policy, Walking on June 11, 2012 .